We love seeing what our creative community around the world is making and our friends in the UK never disappoint. Here’s a look at seven incredible DIYs whipped up using Spoonflower fabrics (printed and shipped from our factory in Berlin!) 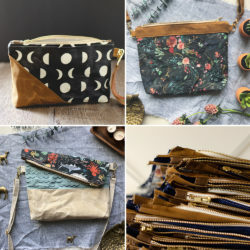 by a handful of our favorite British crafters and just in time for Me Made May. There’s no better way to express your style than by whipping up a garment using a fabric you designed! 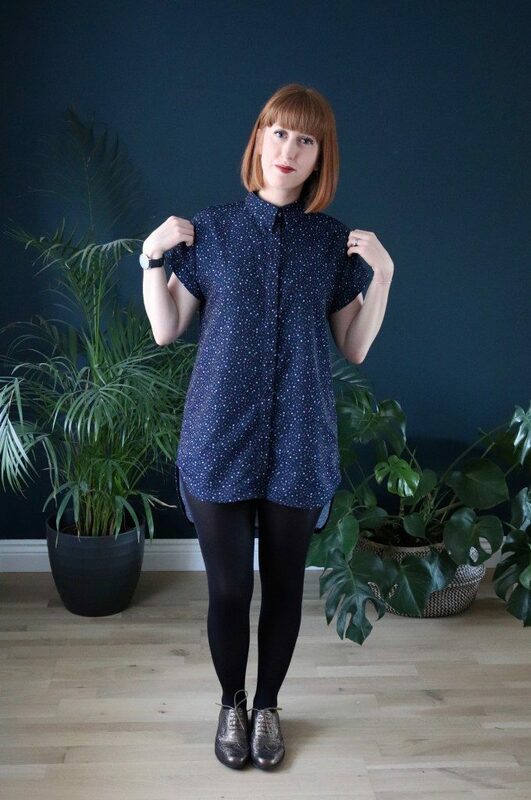 Jen Walker, the maker and sewist also known as Gingerthread Girl, shares a gorgeous Closet Case Patterns Kalle shirtdress stitched up using a surface design she created. Head over to her blog for the full details on sewing up this pattern using our Silky Faille. 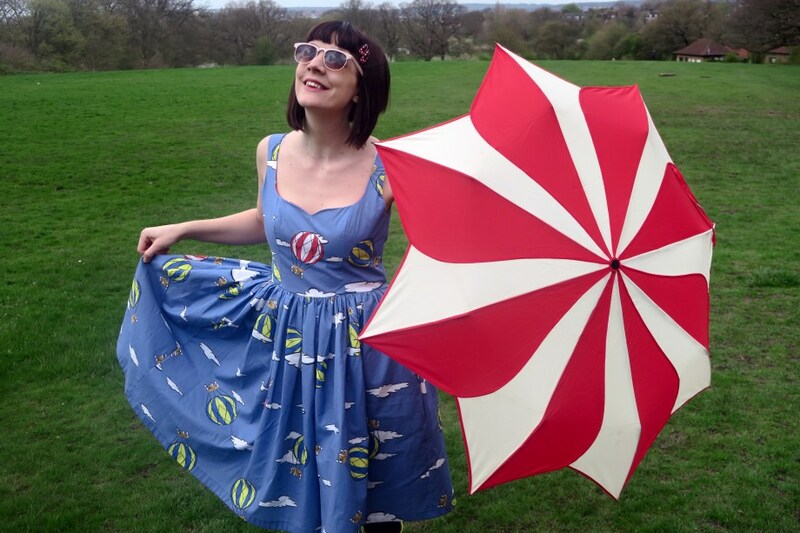 Gabby Young, the writer behind the blog Gabberdashery and one half of the new sewing podcast Stitcher’s Brew, shows us how to add a little pattern and colour to your handmade wardrobe this summer with a bright and bold dress featuring the hot air balloon design she created! Rumana, a new mom and crafter behind The Little Pomegranate, shares her experience working with our website. 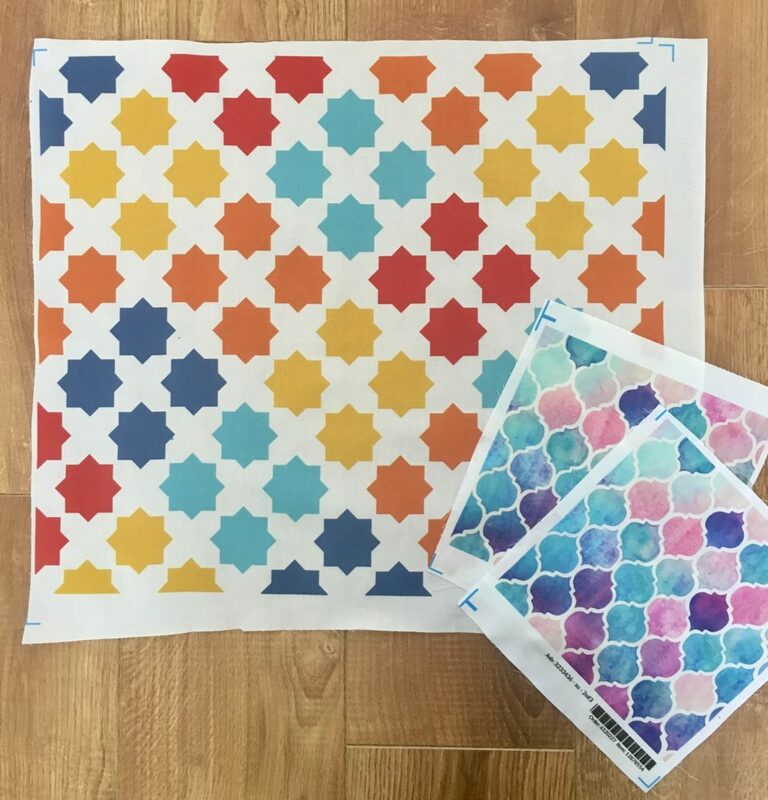 She created her own design for a colourful whole cloth quilt, perfect for when you’re short on time (hello life with a newborn!). It’s the perfect way to update a little one’s room for a new season. Add a bright and cheerful skirt to your memade wardrobe by taking inspiration from this gorgeous five-panel circle skirt sewn up by Siân, the maker behind Kittenish Behaviour. Find her full how-to video here. She chose Organic Cotton Sateen printed with Flamingos Making a Splash in Teal by karismithdesigns. 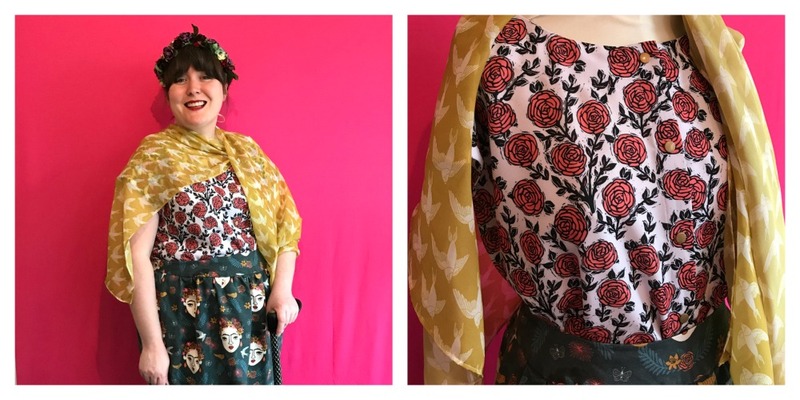 Elle Harris, sewist behind Sew Positivity, names Frida Kahlo as one of her two style icons. She created a colourful ensemble “that has the essence of Frida and celebrates her use of colour and form.” Pop over to her blog to get all the details on this look! The fabric used includes Frida Kahlo printed on Linen Cotton Canvas, Rose printed on Silky Faille and Swallow printed on Chiffon, all designed by andrea_lauren. Create your next go-to outfit with this cosy and cute jumpsuit sewn up by Zeena Shah. 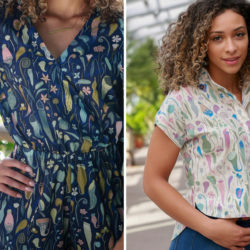 She chose to use one of her own designs printed on Linen Cotton Canvas to create this cheerful look to wear all summer long! 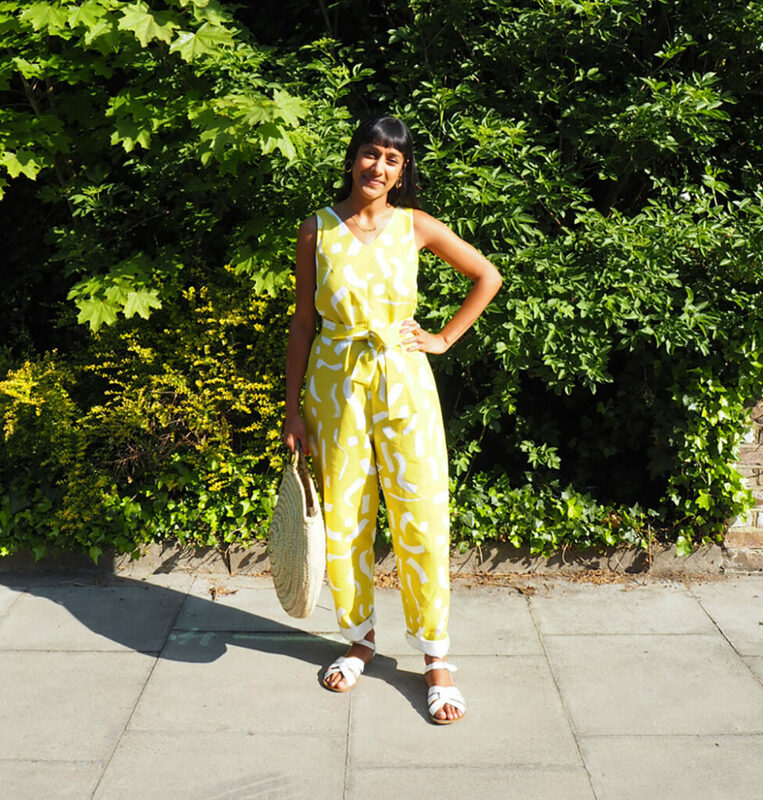 We’re loving how Sarah, author of A Million Dresses, used this year’s Pantone Colour of the Year to add a bright new garment to her closet full of frocks! 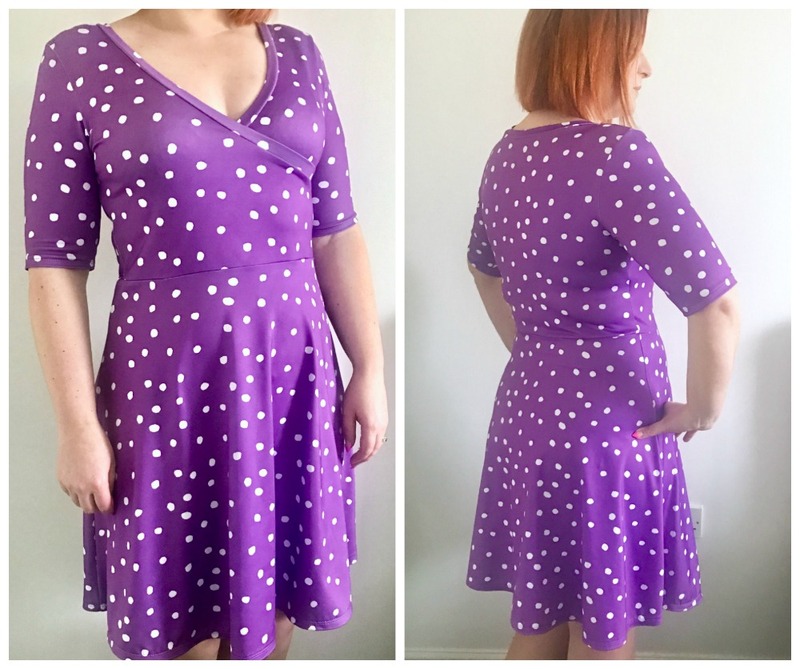 She used Cotton Ball Dots in Purple by shi_designs printed on Sport Lycra for this whimsical skater dress. What warm-weather projects are you working on? We’d love to see! Tag us using #spoonflower on your favorite social media platform to share and find inspiration for your next make with a roundup of our favorite summer designs in the Marketplace.